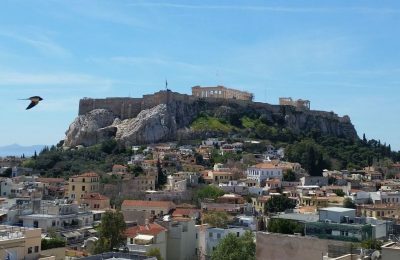 Greek Tourism Minister Elena Kountoura presented Greece’s tourism sector goals during the WTTC Global Summit held recently in Seville, Spain. 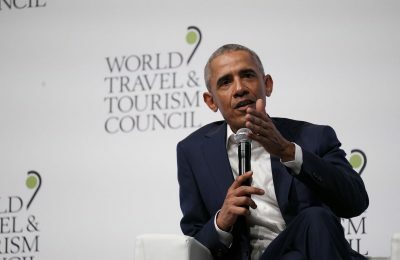 “Concrete and specific” demands from stakeholders can take tourism to the next level," said former US president Barack Obama during the WTTC 2019 Global Summit in Seville, Spain. 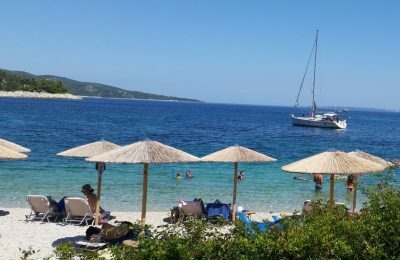 More than 1 million travelers from Bulgaria visited Greece in 2018, with the country being among the top three leading choices for holidays, according to Bulgarian Tourism Minister Nikolina Angelkova. 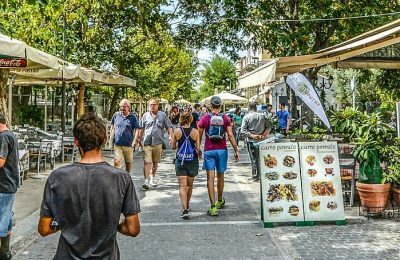 The Greek tourism sector is growing over three times faster than the wider economy, according to new research by the World Travel & Tourism Council (WTTC). 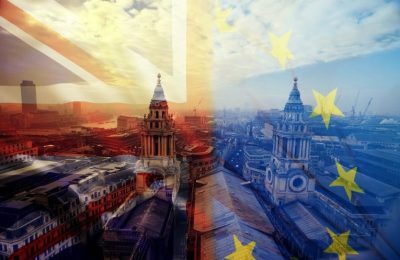 As March 29 draws near, new research by the World Travel & Tourism Council found that the industry may keep the UK economy strong after Brexit. 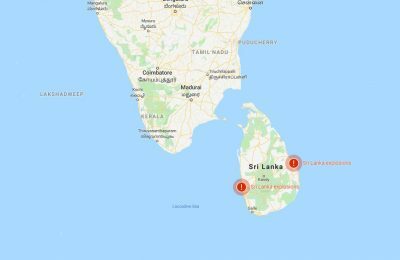 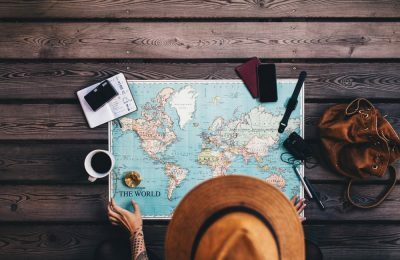 The global Travel & Tourism sector grew at 3.9% to contribute a record $8.8 trillion and 319 million jobs to the world economy in 2018, according to the WTTC. 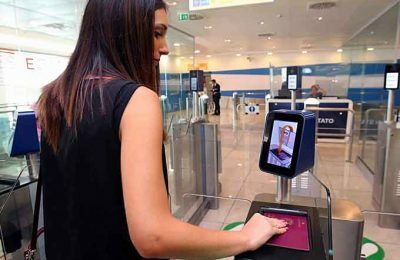 WTTC and IBMATA have partnered to promote biometric technology for safe, secure and better travel across international borders. 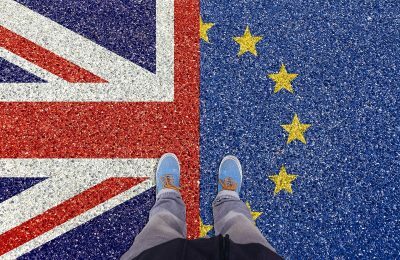 Some 700,000 travel and tourism jobs could be at risk under a 'no-deal' Brexit, according to new analysis from the World Travel & Tourism Council (WTTC). 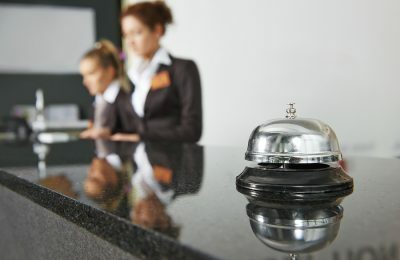 International bodies are urging closer global cooperation on trade and tourism, calling for greater participation of the tourism sector in trade policy. 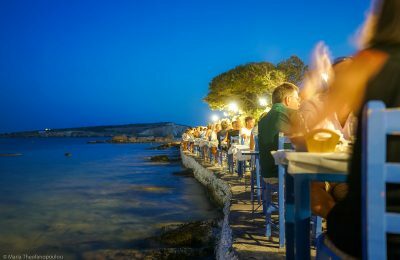 Tourism, one of the top four industries in Greece, generated revenue in the 2009-2016 period, contributing 52.3 billion euros to state coffers, according to INSETE. 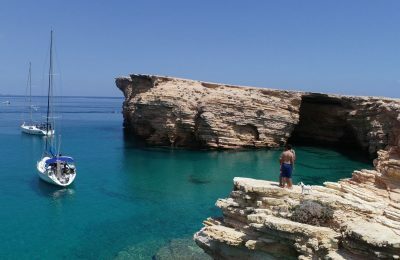 Travel and tourism in 2017 contributed a total of 19.7% to Greece's GDP and amounted to 35 billion euros generated in the Greek economy, according to WTTC data. 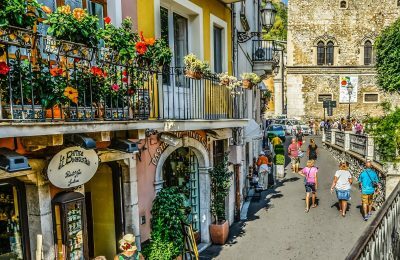 Greece is ranked 18th among 30 countries that have seen the largest growth in spending from international visitors in the past seven years, according to a report released by WTTC. 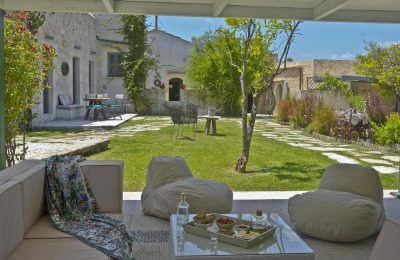 Aria Hotels, a collection of boutique hotels and villas based in Greece, is expanding its activities to the Spanish market by opening a new office in Madrid. 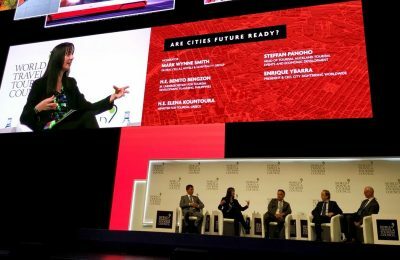 The WTTC has called for action to maintain Europe’s travel and tourism competitiveness, during its first Europe Leaders Forum in Lisbon, Portugal. 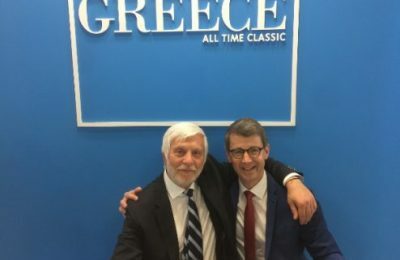 Peloponnese Region Governor Petros Tatoulis recently discussed sustainable tourism practices with Martin Barth, CEO of World Tourism Forum Lucerne. 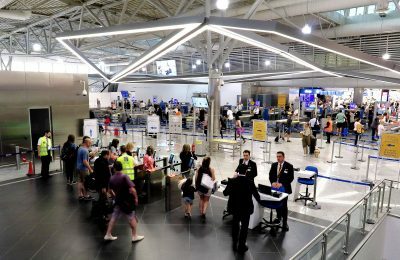 The European Parliament approved the establishment of ETIAS, an EU regulation that will include advanced checks to visa-exempt third-country nationals traveling to the Schengen area. 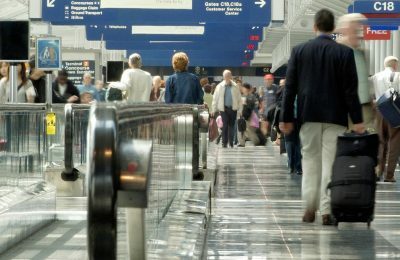 WTTC and IATA have agreed to partner, in efforts to achieve a seamless passenger experience through the use of biometrics technology. 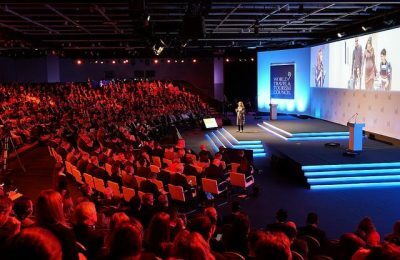 Greece, for the first time, attended the 2018 World Travel & Tourism Council (WTTC) Global Summit held recently in Buenos Aires, Argentina. 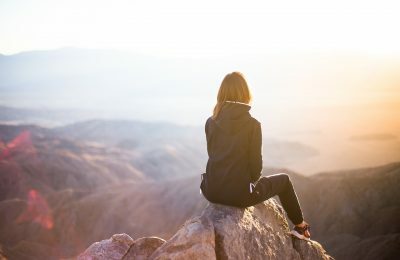 The WTTC and the Global Travel & Tourism Partnership (GTTP) have announced a partnership to attract young talent to the travel and tourism industry.